Apple has been a key player in the gadget market with its comprehensive ideas and innovative design. Recently, Apple has introduced its first smartwatch called ‘Apple Watch’ and launched a new MacBook. These devices have added new feathers to its glory. During the launch event of Apple Watch, it announced another app which can be beneficial for having a check on the personal health. The first version of the app with tests for five diseases is available for download and a fully developed app will be out in market by the coming month. ResearchKit is a software that will allow medical professionals to develop apps which can be used to track health related information . For example, an app can be made to calculate the heart beat rhythm, vocal variations or heart related activities can be recorded. 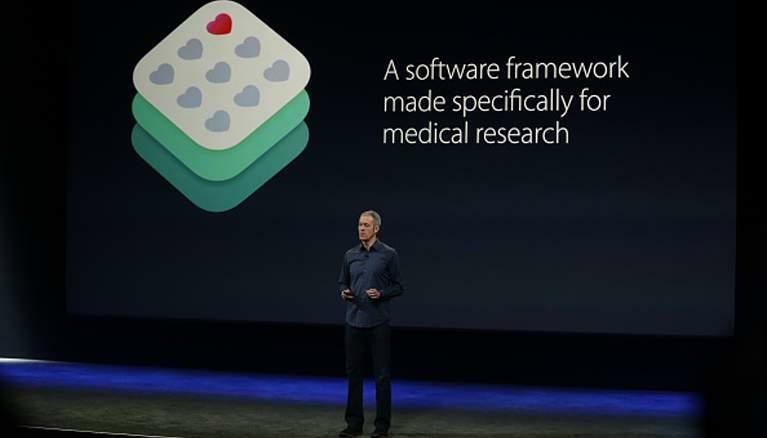 Researchers from major universities and health institutes around the globe are working on ResearchKit. Apple said that the major focus would be on diseases like Parkinson’s disease, Asthma, Breast cancer, Cardiovascular disease and Diabetes at the initial phase. There are certain sets of tests that will be conducted using the app enabled iPhone for the above diseases. The app will be useful for medical researchers as a user has the option to share the data collected using the diagnosis. These data collected from various users can be compared, evaluated and results and feedbacks can be given accordingly. This will tackle the above diseases in a better way . iPhone users can use the app to conduct a periodic test at the conveyance of their home and with no budget involved. This process starts with a sign up process in which a digital signature verification process is involved. A verified user can instantly record the data .The app uses iPhone’s sensors to learn the health statistics. For example, microphone in the device can use voice fluctuations and touch screen can note the finger tap variations. The accelerometer can get useful information about a person’s walking speed and any deviations from a healthy walk can be identified. Apple has made the ResearchKit app open source which means that anyone can access and contribute by creating apps for it. Apple will ensure privacy of individual data collected. Millions of iPhone users around the world can collaboratively participate in a set of medical studies. It can be said that ResearchKit is a way to convert traditional medical labs into an app . While there is huge scope for improvements, we can still hope that this app would bring positive change in the health of its users.